Over the last 12 months we’ve taken our website on quite a journey; Changing the layout, checkout and adding new functionality like product recommendations, all with the aim of providing you with the best possible online experience when shopping for light bulbs and batteries. This month our latest addition to Lamps-on-line is an address lookup tool. 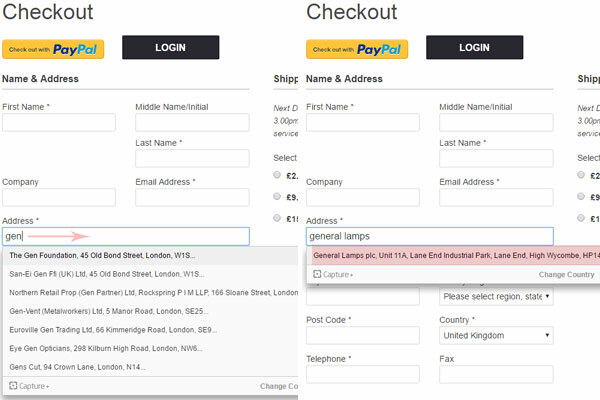 When you start typing your address into the form in the checkout it will provide a dropdown list of all possible addresses for you to select from. We hope this will save you time and make your shopping experience a little easier.